Director Tigmanshu Dhulia, who will be portraying the role of superstar Shah Rukh Khan's father in Anand L Rai's next, where Shah Rukh is playing a dwarf, says he wanted to be part of the project to see how it is done. "I do very few films as an actor but when a filmmaker friend feels that I can do justice to the certain role -- and when I need some money -- then only I do a film. It's a very technical film in which Shah Rukh is playing a character of dwarf so I wanted to see how it is made because when Kamal Hassan (Appu Raja) did it, that time he did that with folded legs and VFX facility also wasn't available," said Tigmanshu at the trailer launch of his upcoming film "Raagdesh" on Thursday. "So, to know that process, I did this film. It's a very time consuming film where you have to give the best effort because you have to shoot each shot with 3 to 4 different approaches and in each day they only used to complete only one scene so it's a hard film to make, but they are giving their best effort for that," he added. 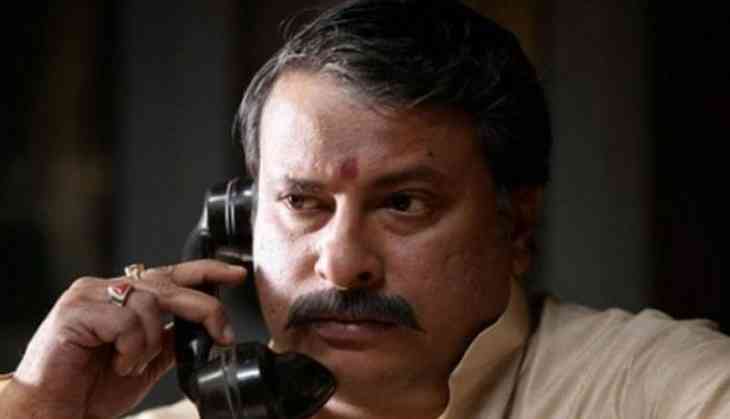 Talking about the challenges that he faced while working on "Raagdesh" which is based on 1945 Red Fort Trials when the Indian National Army soldiers were court-martialled by the British, Tigmanshu said: "When you are writing a fictional story, that time writer can use his imagination to write a story, but when you have real story, then you have to mould it into proper film script. Then it is challenging, especially when you don't have the permission to tamper with past facts." "Each scene of this film is documented with the help of some or the other books, so I haven't had any opportunity to take cinematic liberty in this film," he added. "Raagdesh" features Kunal Kapoor, Amit Sadh and Mohit Marwah in lead roles. The film is scheduled to release on July 28.